Countries like Great Britain, Germany, France and Scandinavia have cold winters and when wine reached these regions, the local population started heating it to create a form of hot alcoholic beverage. The exact origin of the mulled wine recipe is not too clear; however, since it is considered more traditional to Germany, Scandinavian countries and French territories, and combined with the fact that the near East and Mediterranean wouldn’t have needed hot wine due to their warmer climate, it seems most likely to have originated in Western Europe. With the passage of time, most of the Eastern Europe also picked up this hot beverage and started producing their own forms of mulled wine. 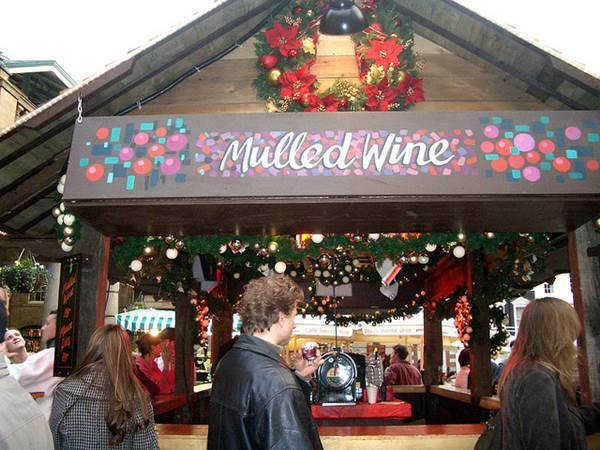 Mulled wine is a very traditional drink and the earliest recorded recipes for it date back to the 14th century. The recipes from those earlier times to the modern are not really too different. Although mulled wines are basically similar, yet most of the European countries have their own recipes due to the difference in spices that are added to it. The most common combination includes clove, cinnamon, honey, sugar and pieces of lemon or orange or just the zest of these fruits. Of course, the wine used most is red, and the mulled wine recipe in very simple in nature. There are two quick steps for making mulled wine: First, all the ingredients mentioned earlier are boiled together with the wine for a short time. Second, the mixture is left to brew for around 40 minutes. The result is a hot and spicy alcoholic beverage that can be served right away. To make it a little stronger, there is the option of adding a little rum or liqueur to it. For variations, different spices are added through different regions of Europe that include black pepper, nutmeg, peppercorn and vanilla. Perhaps, in the ‘old world’, every neighboring nation wanted to create its own unique flavor of the mulled wine. The greatest advantage of making this kind of beverage is that despite using some cheap wine, you can produce good mulled wine that tastes good if the mix of spices is right. A notable version of mulled wine is the Scandinavian Glogg. Though it’s not much different from its European counterparts, it has a strict recipe but allows using a range of different spices such as ginger and addition of stronger alcohol like brandy or vodka. In this recipe, you may also use white wines or even no alcohol at all to make it alcohol-free. The main difference between the Glogg and the other recipes is that while the Scandinavian brew is made according to strict time and temperature limits, the European mulled wines are more experimental in nature and free of a fixed recipe. It would be hard to classify any one of these as ‘better’ than the other, but the Scandinavian Glogg is considered a more serious Christmas drink than others. In present times, mulled wine is most popular in almost all the German speaking regions including areas like Alsace in France, which used be a region of Germany. Of course, it is well known that mulled wine is a drink mostly associated with Christmas and New Year’s holiday season. However, when visiting a region with cold winters, it is worthwhile to try the local mulled wine of that area. It is common to serve this drink during winter celebrations in most of Europe. No wonder then that you might happen to see many people walking around with a cup of hot mulled wine on the snow covered streets of cities like Prague or Hamburg!